It has been over a year since I went on a trip with CTC. Not that I am regular, but passed some of the interesting trips / treks due to work. But I decided I will not miss this one. The long weekend on May 1st ensured that there is no rush and I had a feeling that I am definitely going to spend some good time in the queen of hills. Not to mention the fact that this is an opportunity to escape (at least for 3 days) from the sweltering. We were supposed to assemble at Chrompet Saravana Stores at 9:00pm on April 30th. The organizer, Dinesh, had clearly mentioned the participants to have dinner and be at the point so there are no delays. Wondering what gave him the idea about our obedience! Some of us who arrived a bit before / on-time decided to have a quick grab of sandwich in a nearby shop while waiting for others. Well that quick grab extended till Dinesh called out for everyone to board the van that has been booked. This was the last stop on the plains and we proceeded on Coonoor. Our next stop was at the scenic Chamraj Tea Factory. The tea was worth the stop and took a few photographs as well. Going further we stopped at a small waterfall before Manjoor. 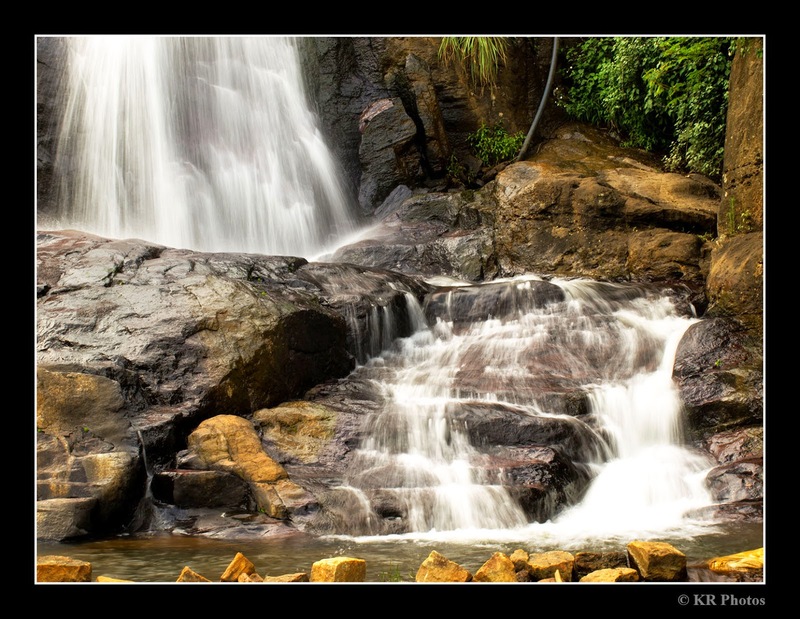 As it is an unwritten custom in CTC, the moment we see any waterfall we just plunge into it. With the exception of a very few, including me, everyone else did take the plunge. This is the only time some of us actually bother to bath! It was midday and the cool water was definitely a welcome break from the long travel. After spending about an hour of playing in the water and once everyone started feeling hungry we got into the van and headed to the Manjoor town. To our relief we managed to find an eat-out that was still serving lunch, even though it was well past 1:00pm. Who bothers how the food was when the stomach was growling with hunger. We just wolfed down whatever was available and proceeded to Bikketti village which was our final stop. Our accommodation for the night was a shack in a garden being managed by Siva, a local resident and an acquaintance of Dinesh. We took only the necessary bags from the van. We explored the place for an hour or so and returned back to base. The real thriller was in the night. Don’t expect any supernatural events. But it was a bit close to that. Some of them started preparing for BBQ. Dinesh had brought a grille just for this! The girls and guys who were in the kitchen at Siva’s home missed the fun. Though the BBQ was a failure, the fun part never was! After trying our best, we had to give the chicken (or what was left of it) to be properly cooked. Thankfully our expert chefs had also prepared some dosa for dinner which served the purpose for most of us. While most of the team slept in the shack in the sleeping bags, me and a few others decided to spend the night in the van itself. Turned out to be bad idea considering it was quite cold and I did not have anything thick to protect against the chill weather! On the morning of 2nd May we had planned to explore the Mulligoor forest after having breakfast. Siva had information that there is a herd of elephants somewhere in the forest and it would be a good opportunity to spot some. After driving some distance in the van we got on foot and explored into the forest. Not before spending some time taking group photos and landscapes. After venturing into the forest for some distance, Siva got information that there is only a single elephant near the river that we were about to visit and it is not advisable to go anywhere near. So instead of taking photos of the wild creature, we took photos of ourselves in the wild and returned back in the afternoon. 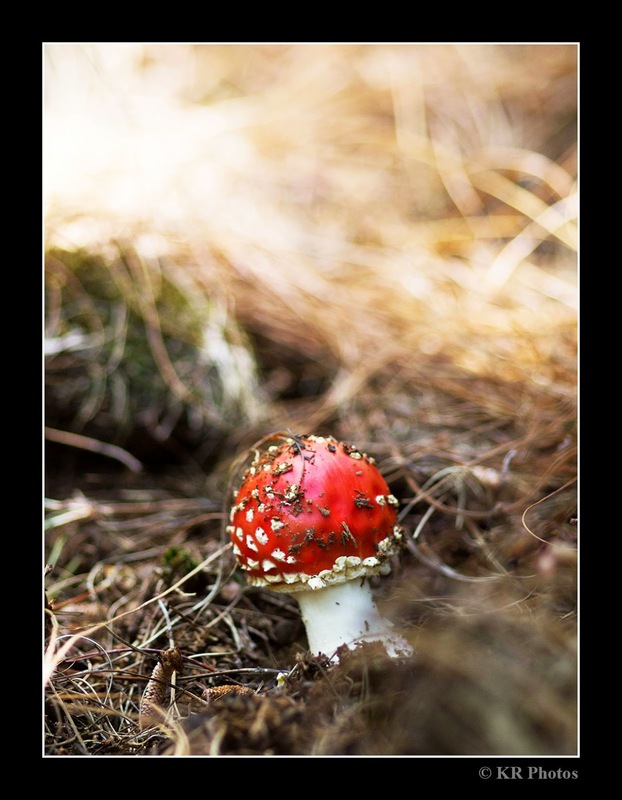 We also spotted some wild colorful, but dangerous mushrooms. Beauties I had seen only in the movies till then. 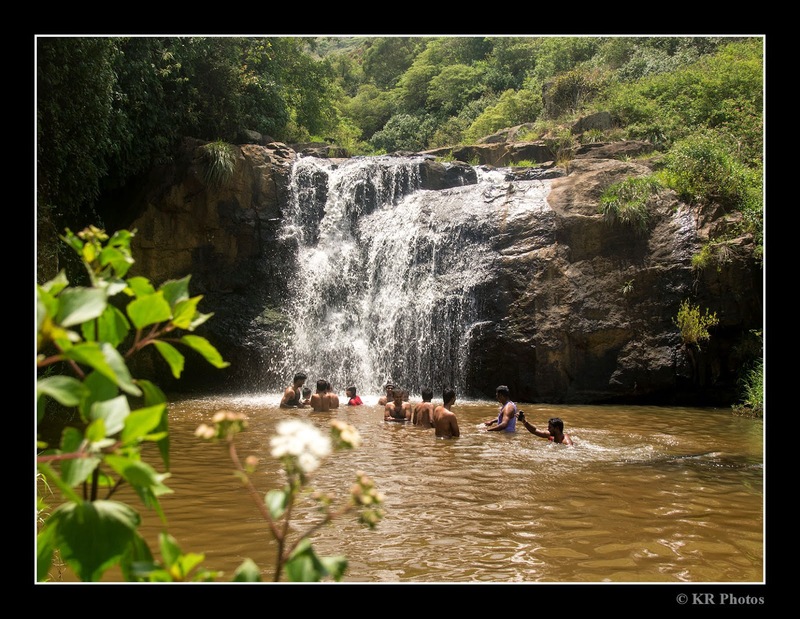 We returned back to Bikketti and after relaxing for a while, we headed to a small water fall in a picturesque location near the village. The trek involved walking in paved road, unpaved road, gravel and a steep climb downhill. But it was definitely worth the trek. The falls was hidden well in the jungle and immediately everyone were into the water, with one a few keeping guard of our belongings. There was a minor incident where Karthik slipped down and injured his forehead, but thankfully it turned out to be not-so-serious. He was given some first aid and a cloth wound around. Later in the evening after returning we moved over to Ooty. It had just rained in Ooty to the weather was very pleasant and not so cold. Dinesh had managed to get three rooms in a lodge, after quite some fight, since the guy who booked the lodge had some goof up. We dumped our bags in the rooms and went on our own to explore the town for about an hour. Around 9:00PM we returned back to a restaurant to have our dinner and went back to the hotel. One of the rooms had by then become a war room with Dr. Sindhu (really???) was giving some more treatment to Karthik’s wound. None of us know how the night went as everyone were really tired and slept as soon as we hit the bed (or sleeping bags). 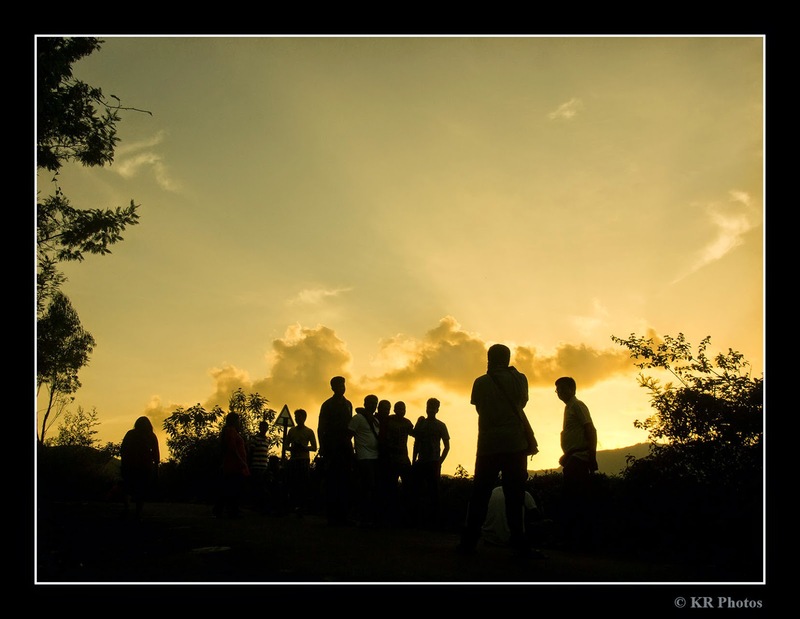 On the 3rd May morning some the guys and girls woke up quite early to get a good idea of Ooty weather and had started walking around. I woke up around 6:45AM and along with a few others went to Botanical garden for another round of photography session. 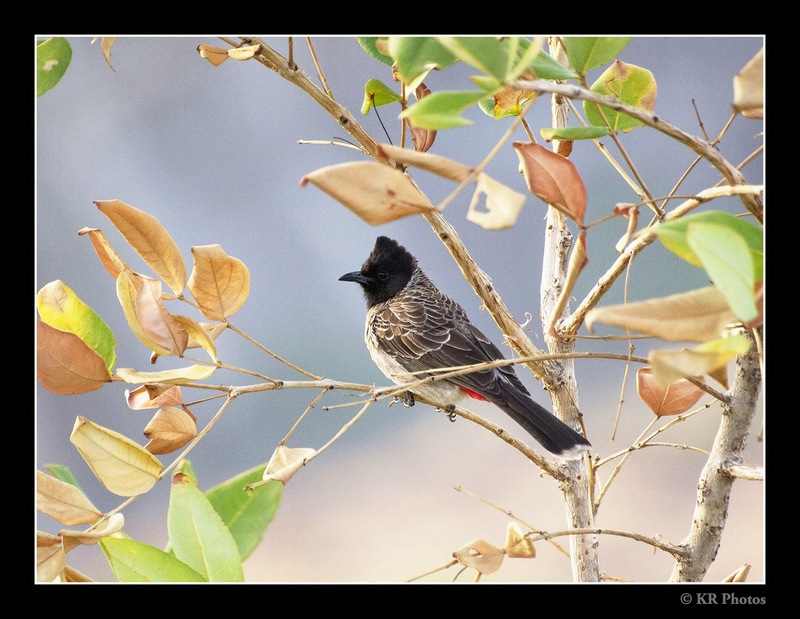 While most of the team stuck together having fun, I decided to slip out on my own in search of some of the endemic birds that I had spotted in my previous visit. Though I was successful in spotting those, I was not able to photograph mostly because of lack of light and the mediocre lens I am having. Nevertheless, it was a good outing. By 9:00AM we returned back and had our breakfast and packed our bags and check-out from the rooms. We moved out into the town and had more than an hour to spend. Some of the team went for shopping, some of them for boating in the lake and I decided to visit the Tree Park on the other side of the lake. This was another place I had visited in my last visit and had fallen in love immediately. But this time was a slight disappointment. The place had become more popular and there were lots of people in the park shouting and yelling, spoiling the serene surrounding of park. So not bird spotting here this time! Last time I had the entire park for myself for about an hour! Not so this time. But the place was as cleanly maintained as I had seen it. So not a big disappointment, after all! We all returned back to the van around 1:00pm and started our journey back. We stopped in Kothagiri to take away some food from a restaurant. Stopped on the way and finished off the lunch and proceeded. Just one more stop near Mettupalayam and we proceeded on the journey. We reached Salem around 8:00PM and had a good dinner and then visited Praveen’s house which was about 10 minutes away from the restaurant. Since it was his birthday the following day, Dinesh had planned to have a cake cutting at his house. After a quick celebration and attempt at pulling Praveen’s leg in front his parents we headed back to the hottest city – Chennai, with loads of fun, happy memories and new friends! A beautiful sunset can be a perfect end for the day! 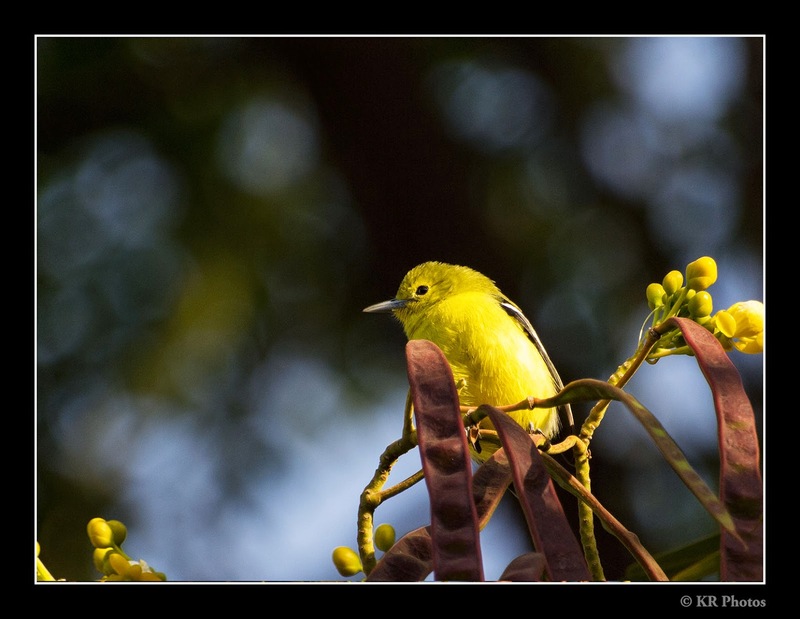 During my visit to Aurangabad late last year, I managed to take some time out to roam around the place to try my luck on spotting some birds. 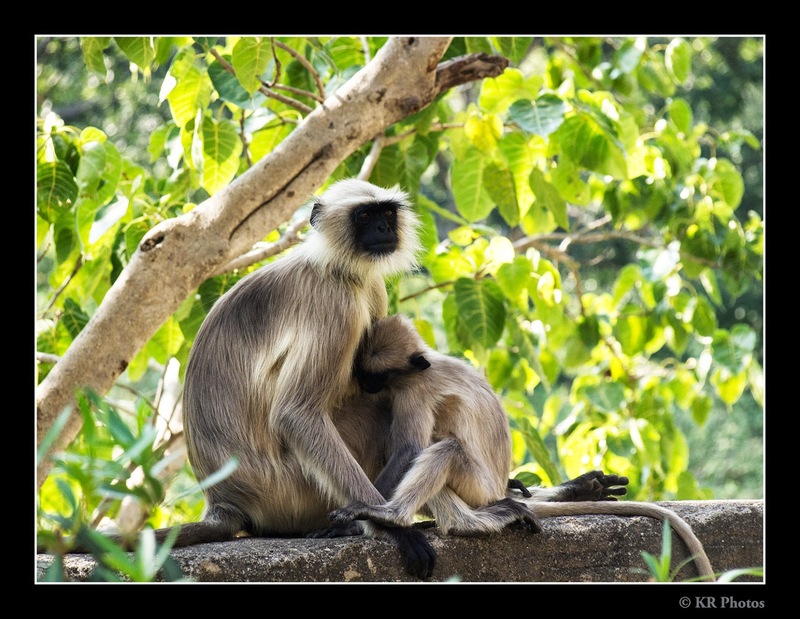 Though it was a family trip and most of the time was spent in travelling to popular sight seeing and tourist places, I sneaked around to near by parks to check on the habitat. Though the park was relatively small, there was no dearth in birds. Since I was able to go out for bird watching most in evenings only, I was not able to photograph all the birds due to bad light. But whenever I ventured out in the early morning, I managed to capture a few of them through my lens. Here is the list of birds that I spotted in and around Aurangabad, in whatever limited time I had. Even in the short span of time I had, I was surprised to have spotted so many birds. I am sure with dedicated time, much more of these beauties can be spotted. After a long thought, very long thought of 2 years actually, I finally visited Aurangabad last December. This is one place I would recommend everyone to visit. I am not very sure about the hotels or other accommodations here as I stayed in my sister’s place. But I am sure there should be good accommodations available. This is a place with multiple interests and multi culture, present and past all mingled into one. Within a radius of 100km from Aurangabad town, there are lots of places which stand as a testimony to India’s rich cultural and artistic past. Within the city the top rated tourist attraction is Bibi-ka-Maqbara and the Panchakki. 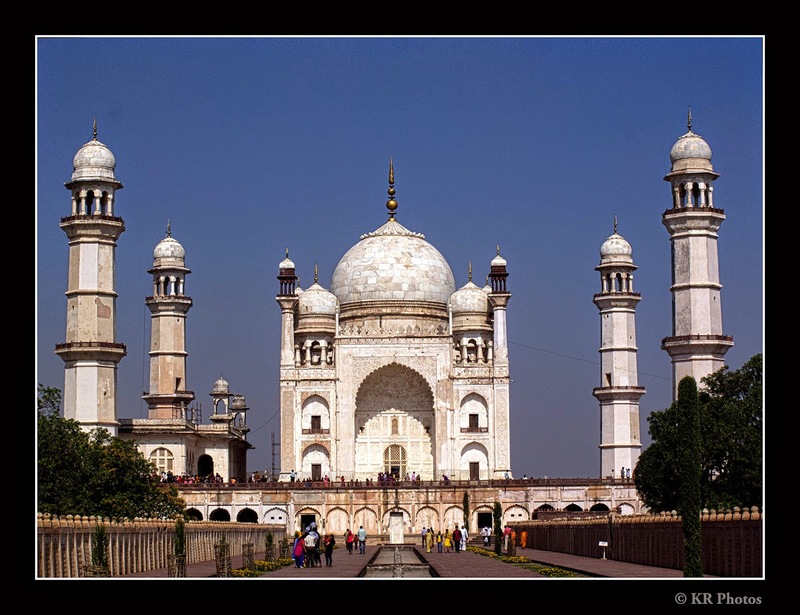 Bibi-ka-Maqbara is a tomb built by Aurangazeb for his wife and is a replica of Taj Mahal. Panchakki is an ancient water mill. You can see the scientific excellence we had even centuries back. 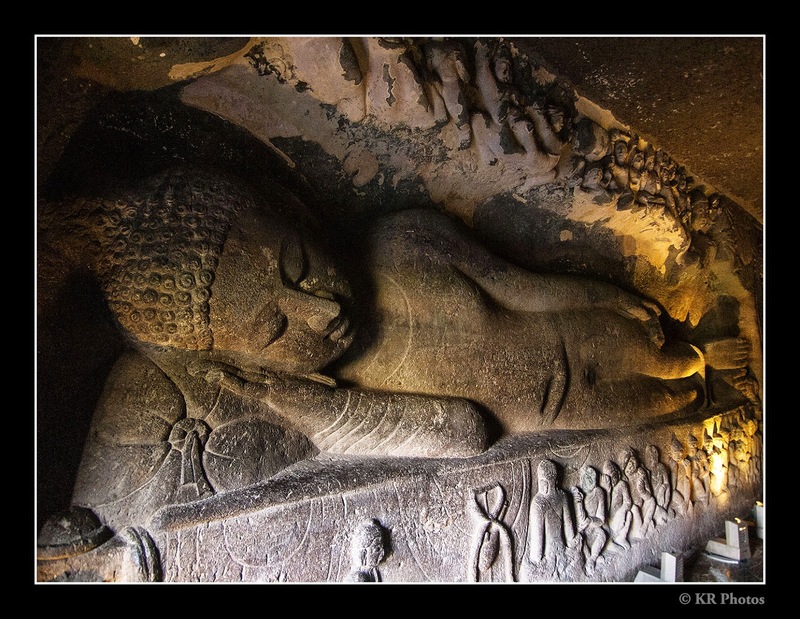 Take a day out for each Ajanta caves and Ellora caves and the Daulatabad fort. Each of these are about 100kms from Aurangabad. Another big attraction of the region is Shirdi. This is also about 100kms from Aurangabad and you can do a day trip to Shirdi. The sculptures of Ellora caves dates back to the 10th or 11th centuries. The Ellora mostly reminded me of the Pallava architecture. The Kailasanathar Temple, especially, looked like an exact replica of the Kailasanathar Temple in Kancheepuram. It is a well-known fact that many artists went back and forth between Kancheepuram and Ellora and Ajanta for their interests in art, so this does not comes as a surprise. The Daulatabad fort which is near Ellora caves is another place worth a visit. Though most of it is in ruins at the moment, this is a testimony to the strong defense system that we in place during those periods. 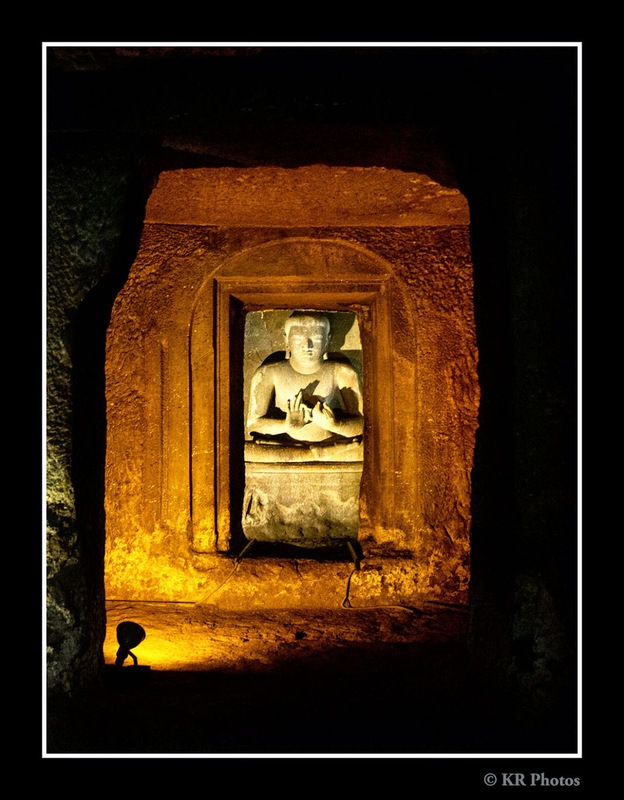 The Ajanta caves are the oldest of them all. Though the stone carvings may have come at a later date, the paintings on the caves are dated back to the 2nd century BC. Most of the paintings are worn out now, but whatever is left is definitely a pleasure to watch, if you are interested in arts. The stone carvings of Buddha in various postures are also a treat to watch. These giant structures are all monolithic, again reminding about the Pallava arts. Apart from the arts in the caves, the place is also surrounded by good dense forest, unlike the Ellora caves, which is quite dry. 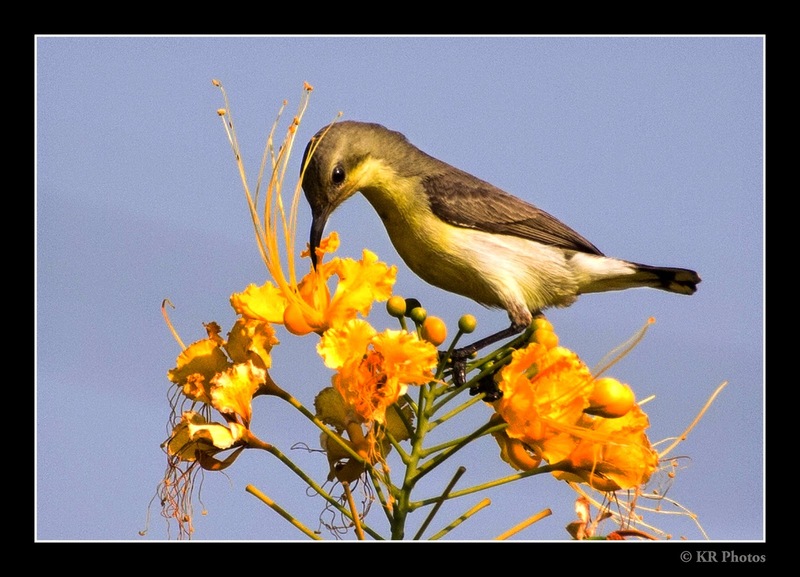 People who are interested in bird watching or spending a day in gardens will also be delighted. This place is definitely worth spending a day or two. The caves here are quite dark even during a sunny day. There are focus lights put just for the sculptures and art work. You can also use your torch lights with the permission of the guards there. Some of these guards may also be knowledgeable and work as guide explaining the details of the art works in the caves. Those who are carrying cameras, please note that flashing inside the caves is totally prohibited. So you will have to take the pictures without flashes! Anyone who wants to visit the Ellora or Ajanta, please bear in mind that there will be lot of walking around and in Ajanta there will be a bit of climbing as well. Those who cannot climb can use the palanquins available there for a small price. Make sure you take enough water with you as these places can dehydrate you big time and you will not find much water sources there. Make sure you have enough snacks, or food, depends on your requirement during the travel. For one, the visit may take till the evening and you will have to manage with the small food joints that are around these places. Enjoy your travel to Aurangabad, one of the numerous living examples of heritage and architecture!